Calculates real-time shipping costs through the webservice of Chilexpress based on the origin and destination address, and the products added to the shopping cart. It also shows the estimated delivery times based on the moment of calculation. Trusted shipping costs obtained directly from Chilexpress, with different variants or types of services available. All cities addresses registered by the customer and belonging to Chile, will have a normalized format. Improve the shopping experience by allowing you to show estimated delivery times. All our developments are certified by PrestaShop. We are PrestaShop Partner Agency and Superhero Top Developer. 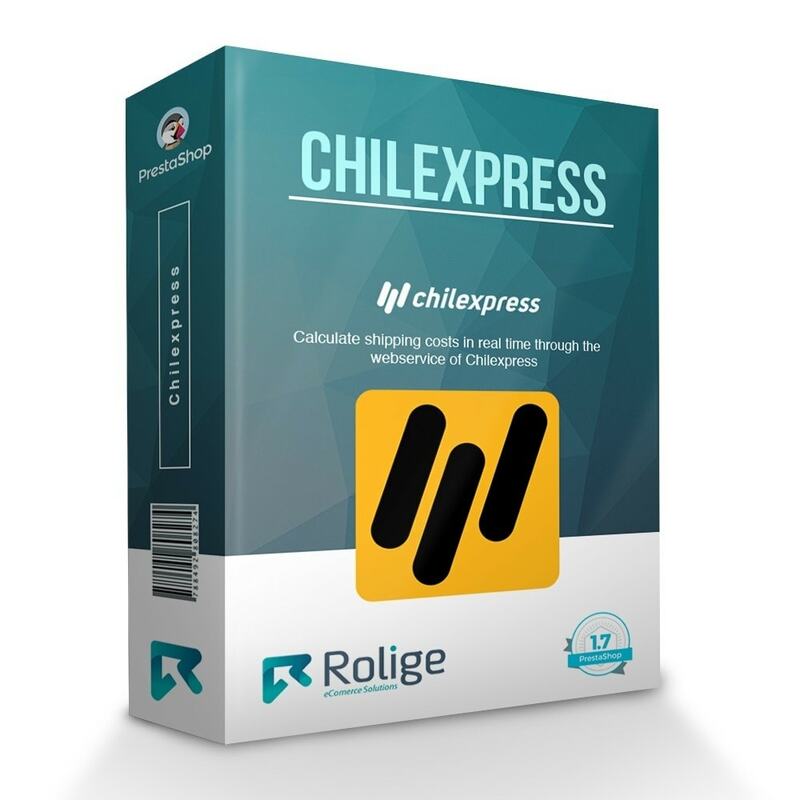 Calculates shipping costs in real time through the webservice of Chilexpress. Normalizes the cities of all customers belonging to the country of Chile. In the address form, the entry of a City uses an autocomplete with all the cities/communes of Chile to avoid any incorrect entries, since the cost of shipping is 100% based on them. Option to specify the city/commune of origin for shipments. - Based on weight and cubic volume. - Based on weight and an optimized three-dimensional volume, which simulates the packaging of all products in a 3D box. Option to show estimated delivery times at checkout in each of the available services, with multiple customization options that will allow you to provide even more accurate estimated times. Calculates real-time shipping costs through the Correos Chile online quote based on the origin and destination address, and the products added to the shopping cart. It also shows the estimated delivery times based on the moment of calculation. Calculates real-time shipping costs through the Starken (Turbus) online quote based on the origin and destination address, and the products added to the shopping cart. It also shows the estimated delivery times based on the moment of calculation. Q). Do I need credentials provided by Chilexpress to use this module? A). No, as of right now Chilexpress's webservice does not require credentials to make us of the quoting service. Q). Is it necessary to load states or cities in order for the module to work? A). No, the module already contains more than 700 cities/communes. A). Yes, but your store MUST have the Chilean peso (CLP) as a currency installed. A). Yes, all prices and costs are obtained directly from the servers of Chilexpress in real time. Q). Is the module compatible with the modules Starken (Turbus) and Correos Chile? Starken version 1.0.1 and newer. Correos Chile version 1.0.0 and newer. Knowing the cost of shipping in real time based on the products of the shopping cart and the delivery address, as well as knowing at the time the estimated delivery times, undoubtedly generates greater confidence to the customer and helps closing the sale. Reduce communication time with the store manager. It has a greater list of options for shipping services. It is mandatory that your products have specified at least the weight in the Shipping tab within the product editor, or that you use the module options to consider these custom values at the time of calculation. The quote system only works for addresses in Chile. The installation is completely automated and intuitive, the first form aims to normalize all cities/communes in the addresses of the customers that belong to Chile, in order to obtain valid shipping costs. The module will try to normalize as many addresses as possible, the rest must be modified manually. [+] Improved compatibility with payment methods that DO NOT use the best practices of PrestaShop development.